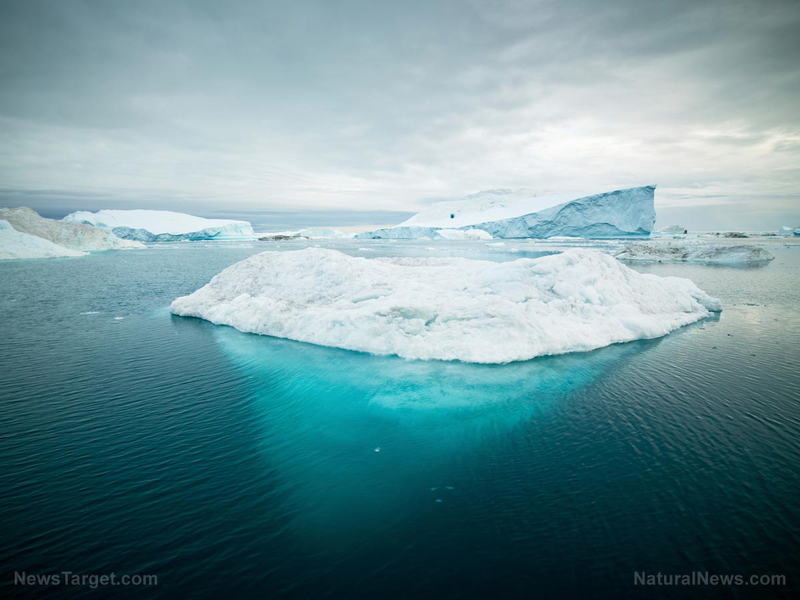 (Natural News) Since the mid-1990s, the Greenland ice sheet has been losing ice mass at a fast rate, resulting in raising sea levels worldwide. Lately, Greenland’s loss of ice has been the center of climate-related news. Though climate change alarmists blame global warming and CO2 emissions as the driving factors behind the accelerated rate of ice melt in Greenland, a new study, published in the online journal Science Advances, tells a different tale. A team of researchers, led by the University of Bristol, has discovered that a decrease in summer clouds is causing an abrupt reduction in surface ice mass, not rising temperatures or catastrophic climate change events. “The impact of increased sunshine during summer is large, it explains about two-thirds of Greenland’s melting signal in recent decades. Until now we thought that the recent Greenland melt is caused almost exclusively by higher temperatures and the resulting feedbacks,” said Ph.D. student, Stefan Hofer, from the University’s School of Geographical Sciences and a member of the Black and Bloom and GlobalMass projects and the lead author of the study. Where did all the clouds go? Though it isn’t yet clear to the researchers what’s causing the marked decrease in the summer cloud cover over Greenland, the study showed that the understanding of what’s behind the trend plays a crucial role in the prediction of how much of Greenland’s ice will melt in the coming years. With a total loss of about 4,000 gigatons of ice since 1995, Greenland’s ice melt has become the biggest contributor to the rise in global sea levels. Until now, scientists attributed the melting to catastrophic climate change events and rising temperatures. Have they been wrong all along? According to the new British research, it seems that there is a different explanation for Greenland’s rapid ice loss. The co-author of the study, Professor Jonathan Bamber, based at the University of Bristol and President of the European Geoscience Union (EGU), explained that they are seeing changes in the large-scale circulation patterns of clouds, resulting in more sunshine and higher amounts of solar energy reaching the surface of Greenland’s ice sheet. For their study, the researchers used data from satellites and computer models. After analyzing the data, they concluded that summertime clouds have been steadily decreasing in Greenland over the past two decades. Fewer clouds mean more of the sun’s radiation reaching the Earth’s surface, fueling additional melting of the ice layer. Summer cloud cover decreased by approximately 0.9 percent a year between 1995 and 2009. Though changes in large-scale circulation patterns during the summer are not only seen in Greenland, Professor Jonathan Bamber noted that the phenomenon is especially pronounced over the Arctic and the North Atlantic. “The state shift in atmospheric circulation is unprecedented in the observational record, which goes back as far as 1850,” he said. According to the authors of the study, clear skies contribute to twice as much ice melting in Greenland compared to warmer temperatures. They found that a one percent reduction in summer clouds can have devastating effects, melting as much ice as the annual domestic water supply of the United States, or 180 million times the weight of a blue whale, reported USA Today. Though the culprit of the altered atmospheric circulation patterns remains uncertain, the British scientists believe the decrease of the Arctic sea ice cover is to be blamed. Learn more about our climate and weather at ClimateAlarmism.news. Next : Canada legalizes euthanasia for ARTHRITIS… what’s next?